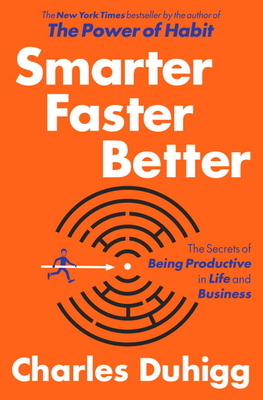 The first half of Smarter Faster Better was very good but the second half repeated a lot of content that I have read in other management and economics books. Fans of Power of Habit should definitely give it a read but if you stay current on all of the latest management trends you might not find much new here. Overall the book is well written and easy to read. Productivity is a big problem in today’s workplace. There are more distractions than ever fighting for our time at work, such as email and social media in a new faster paced world. Being the best you can be in less time is a goal we all want to achieve. Well, how do you get there? In Smarter Faster Better, Charles Duhigg is trying to answer that. Equal parts self-help book, business history lesson, and science course, Duhigg’s book brings us tales of lessons learned and lessons lost. I know you will find something informative for you in your life. I know I did.